Please note: we will never have pop-up advertisements on our site! These links will open in a new browser window or a new browser "tab", depending on the web browser you are using. Please set your browser to allow "pop ups" from our site. 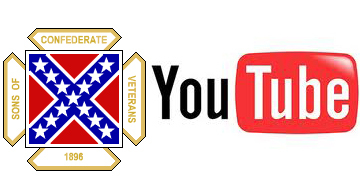 Links Of Importance To The Sons of Confederate Veterans & Their Compatriots. Please Note: Those in Black without a link are currently offline. This is a list of the currently active websites that were referenced from the SCV Headquarters web site. I checked each site to make sure they were active and with content as of May 2011. 31 of the 117 encampments have web sites! The Nash Farm is located in far western Henry County on its line with Clayton County, about 21 miles south of Atlanta. The 204-acre Nash Farm Property, defined as the land acquired by Henry County, is all within Henry County and includes nearly all of land lot 122 in the Sixth Land District. During the second half of 1864, the Nash Farm was the scene of considerable military activity, including Kilpatrick's Raid, infantry battles/skirmishes that marked the end of the Atlanta Campaign, as well as the campsites belonging to Confederate General Stephen Dill Lee's Army Corps. This is possibly where Gen. Wheeler was capture according to description of last location recorded by him before his capture, although others say it is near McDaniels Mill Rd or Symrna Rd. But according to records from Sherman, Wheeler was captured at Flat Rock (what is now in Rockdale Co.) and would make the location near Panola Mt. A vibrant history, breathtaking beauty and intriguing cultural changes in a compact area form the basis for the Arabia Mountain National Heritage Area. From early settlers to immigrant rock cutters, freed slaves and Trappist monks many of those stories are still waiting to be told. The Jefferson Davis Home & Presidential Library in Biloxi Mississippi. During Hurricane Katrina, the Beavoir complex was devastatingly destroyed, but the actual house, while severely damaged, survived. The C.S.S. Georgia was a Confederate Ironclad warship that was anchored in Savannah River about 3 miles below the city, she served as a floating battery and was instrumental in keeping Union forces from attempting to take the city by sea. She was scuttled by her crew when General Sherman’s army reached Savannah at the end of its famous “March to the Sea”. Plans are now in motion to the possibility of raising the ship from the Savannah River. Cycloramic illustrations were extremely popular in the 19th Century. Today there are under five left in existance. Today, the Cyclorama of the Battle of Atlanta is the world's largest oil painting, painted in 1885-86 by artists from Germany. It has been shown in Grant Park since 1893. In addition to the cycloramic painting, the Cycloramam is home to a fine Civil War Museum, including the steam engine Texas which took part with The General in the Great Locomotive Chase (also known as Andrew's Raid) in 1862. A prestigious Smithsonian Affiliations member, the Museum provides visitors with a unique perspective into the strategic and economic use of railroads during and after the Civil War. The Museum is home to the General locomotive, made famous during the Great Locomotive Chase of 1862, an impressive Civil War collection, and the Glover Machine Works, a restored early 20th century belt-driven locomotive assembly line. The Jolley Education Center offers numerous hands-on and interactive exhibits that are fun for the entire family, and the Cobb Energy Gallery features traveling exhibits from the Smithsonian Institution Traveling Exhibition Service. The museum was formerly known as the Kennesaw Civil War Museum. It was renamed in 2003. Stone Mountain is best known for its bass-relief carving of Confederate President Jefferson Davis, General Robert E. Lee, and General "Stonewall" Jackson. It is the largest bass-relief carving in the world. In 1916, the owners of the property, the Venable Brothers, deeded the front face of the mountain to the United Daughters of the Confederacy with the stipulation that they establish a "sizable" Confederate monument. Gutzon Borglum was commissioned to do the carving. He abandoned the project in 1923. (Later, Borglum completed the famous carving at Mount Rushmore.) Augustus Lukeman continued the project until 1928 when work stopped for thirty-five years. In 1964, Walker Hancock resumed work on the carving. The carving was finally completed by Roy Faulkner on March 3, 1972. In 1958, The State of Georgia purchased the mountain and the surrounding property from the Venable family and made it into a State Park. During the early years, it was Civil War era themed park with many attractions. A 5-mile railroad track was built that traveled around the mountain. Originally, it was run by a period steam locomotive pulling period passenger cars. It would stop at two train stations; one located on the east slope of the mountain and the other at the base of the carving. In the 1960s, passengers would be treated to a "Cowboys & indians" attack and fight during summer while the train was at the rear of the mountain. A 1800s plantation area was built along with a period grist mill. Memorial Hall, located at the eastern slope of the mountain, contained many artifacts and objects that were created in observance of the centennial observation of The War. A museum and viewing area was built in front of the carving. Non-Civil War era attractions included a petting zoo, an antique car museum, a marina with 2 paddle-wheel steamer style boats that cruised the man-made lake, and a skylift that took rides to the top of the mountain. At the end of the 20th Century, the State decided to lease the management of the park to a private firm. The Park is now advertised as an ecological or nature park and it's Civil War roots are down-played substantially. Memorial Hall is now an ecological museum. The anitque car museum has closed. The steam locomotive has been replaced by modern locomotives pulling modern open-air tourist-style passenger cars. Prior to the 1996 Olympics, a new larger skylift was constructed next to the old skylift station. A modern convention center has been built and a large theme park style attraction replicating an 1800s village has been built at the front base of the mountain. It is free to walk or ride a bicycle into the park, but you need to purchase a parking pass for cars, trucks, or motorcycles. Passes can be purchased for either a one-time or annual (unlimited) use. You then purchase tickets or passes to use any of the fee-based rides, entertainments, or exhibits. I have recently discovered that of all the beautiful picnic pavillions scattered around the park, only 2 located near the main train depot are available to rent with you providing your own food. The remainder require you purchase the park's catering services. The rental cost of the 2 pavillions that you can bring your own food to has skyrocketed from a very reasonable $75 to $450!!! I can still remember as a child going to family picnics at the park and how fun they were. Now in the name of corporate greed, families can no longer enjoy that simple and inexpensive pleasure. The Atlanta Campaign, is a non-profit living history organization that sponsors Civil War Reenactments. The Annual Battle of Atlanta Event. July 22nd is the Anniversary date of the historic Battle of Atlanta during the War Between the States. To commemorate the important event, the neighborhoods in Atlanta’s 5th Council District team up to organize B*ATL on the weekend in July when the Battle's anniversary is observed. The battlefield was located in these neighborhoods where people live, work, and play today. This is an event of remembrance and also one with fun for everyone. The Longstreet Society is dedicated to the celebration and study of the life of Lieutenant General James Longstreet, C.S.A. Founded in 1994, The Longstreet Society is focusing its efforts on restoring General Longstreet's old Piedmont Hotel, caring for his grave site and continuing educational projects. These projects include seminars, tours, other presentations and a very informative newsletter. Len Strozier of Omega Mapping has become a very good friend of Camp Wheeler. His company, Omega Mapping Services, is the company we selected to perform our formal cemetery survey of the Middlebrooks Family Cemetery. We are listing his web site here due to popluar request. Mort Künstler is one of the more reknown artist that has established his reputation as one of the foremost artist of Civil War-related art. 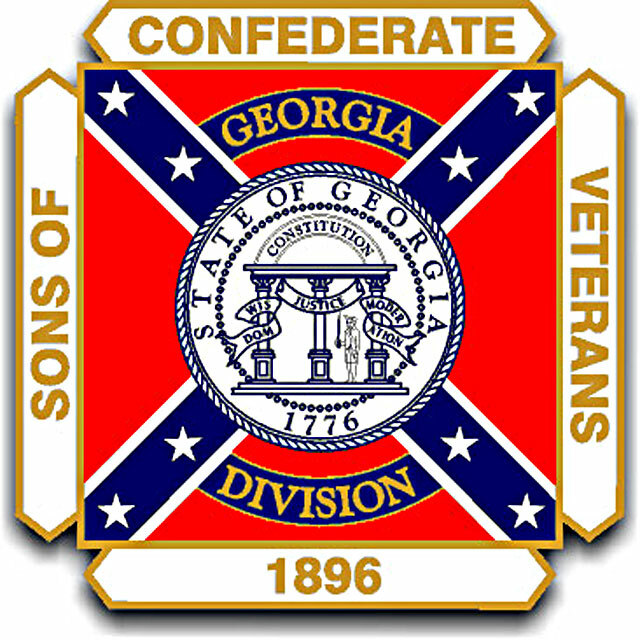 This is a great site for all of your U.S. and Confederate flag needs. They offer both "printed" and sewn flags for those who want authenticity in their flags! They also offer some good and unique Confederate and military regalia too. A rerally cool site that in its own words, is a historic review of Atlanta's built environment, one block at a time. The blog is reviewing the history of specific block areas of the City of Atlanta and shows what happened historically, primarily after the war, through reconstruction, and into the modern era. the photos alone are worth the price of its free admission! Ancestry.com and Footnote.com are two of the more frequently used sites to research geneology. "The unreconstructed voice of Dixie"
Civil War sites in Georgia are being damaged and adversely affected by development. Georgia Battlefields Association is a private, non-profit organization that works with other preservation groups trying to prevent and reduce the damage. This site was referred to us by a visitor to our site. The main site is a "free" web brower-based computer game simulation that allows you to command your own pirate ship to plunder in assorted battle simulations. the main site page is available here. The linked page above is a listing of important battles throughout history that includes details on some of the most important battles during the War Between the States. It uses text and videos from such places as History.com (the History Channel) for their presentations. Web Master's note: This link is provided for the informational page whose link is at the top of this description. In providing that, I must stress that Camp Wheeler does not endorse nor reccommend the use or participation of the game located on the main page. As with most other sites, we tell our members and friends to use their own wisdon and caution when surfing the web as you always should. People have taken offense at our military's decision to use digital music devices stuck in bugles to be played at the funerals of our fallen warriors or honored veterans. Bugles Across America is composed of over 7,500 volunteers that offer their services in attending the memorial services of our military dead so they are properly remembered and honored. This group is a non-profit organization with no affiliation to the Defense Department or Deptartment of Veteran Service. TAPS 150 is an organization incorporated to commemorate the 150th anniversary of the origin of Taps, our national bugle call. TAPS 150 is planning commemorative events, special concerts and events that will culminate with ceremonies at National Cemeteries in May 2012 and a re-enactment event in July 2012 at Berkeley Plantation where Taps was born. Our brave service men and women that dedicated their lives for their country are unfortunately the most common victims of Mesothelioma. The Mesothelioma Cancer Network is a great source of information on this rare type of cancer. As a result of their exposure during military service, U.S. veterans account for a sizable percentage of pleural mesothelioma patients. The group of veterans most at risk is naval veterans and this is a result of the mass amount of asbestos material used on naval vessels. Navy veterans who worked in shipyards or aboard vessels experienced more asbestos exposure than the average member of the Armed Forces and can claim benefits from the VA system for this service-related condition. If you have a web site that you'd like to be included in our listings, please contact the Web Master.